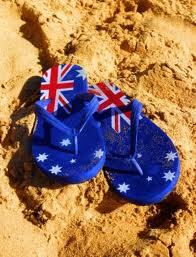 Today it is Australia Day which means a day off work and the opportunity to spend time with friends. 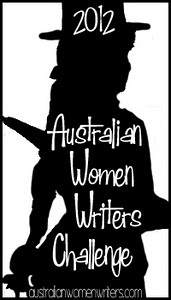 A bit later today I am heading off to a barbecue, and then coffee with some bookish pals but before that I thought it might be time to actually look at the books I have sitting around on my various bookshelves (both real and virtual) and see what books I have that would be eligible for the Australian Women's Writer Challenge that I am participating in this year. I haven't actually gone through my whole shelf for the Books I Own, but rather concentrated on the books that I have acquired during the last year or so. I will therefore have other books that might qualify sitting around as well. I fully expect this list to change before the challenge finishes but I wanted to at least start to get a list together. I guess you could say that I have enough to go on with then! Hello! Want to find out who’s reading your favorite books? Be on the loop with the most awesome books today! What a great list! I hope that you get the chance to read all of them, and that they are all clever and inspiring reads. A few of these are on my list as well for the upcoming year! Lanagan's Black Juice is wonderful. Perhaps I'll do a re-read this year. And The Three Loves of Persimmon is one of my favourite books of all time. I can't say enough good things about it! I'd really like to read Boomerang Bride too actually.